This round bottle has a durable polypropylene flip-up lid pump. Safe One Touch operation. Perfect for alcohol dispensing on cotton ball swabs brushes. Convenient flip-up reduces odours and maintains purity. Large opening for easy filling. 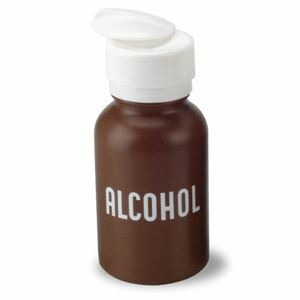 8 oz Polyethylene bottle with Alcohol imprint.